A King's negligence costs the Prince his eyes. How will the King make amends? A farmer is torn between resurrecting his wife and upholding his duties. What will infuence his choice? A jester lives two lives - Masked for others. Unmasked for himself. His masked side brings happiness to everyone. But what brings happiness to his unmasked side? A magnificent tree bears fruits of different kinds, but the King wants it to be cut down to serve justice. How will the tree defend itself? An orphan boy is in search of the world's bestselling book. Will he eventually find it? A dog struggles to uncurl his tail. Will he break the curse that curled his tail in the first place? Set in the ancient times, Fables from India, is a collection of 22 profound and unheard stories from a country known for its storytelling. I received this book from Leadstart Publishers in exchange for an honest review. Reading Fables from India by Uday Mane felt like I was reading some folk tales – simple, short, easy to understand and with a moral message. To give you an idea – the stories in this book are like those in Panchatantra. Do you know what exactly are fables? Fable is a literary genre: a succinct fictional story, in prose or verse, that features animals, legendary creatures, plants, inanimate objects, or forces of nature that are anthropomorphized (given human qualities, such as the ability to speak human language) and that illustrates or leads to a particular moral lesson (a "moral"), which may at the end be added explicitly as a pithy maxim. This is the kind of book I would like to keep aside for my son to read when he grows up and takes to reading. Having said that, I must add that if you are into reading serious and complex short stories this book might not appeal to you. The stories are way too simple and straightforward for adding some depth to the characters or for adding some unexpected twists and turns to mundane plots. But, if you are like me - who read slow and ponder over what you have read, you may well revisit your moral science lessons and see how well you are applying them in your life now. The book can do well if it is targeted to young readers between the ages of 8-12 years. Adults may read out these stories to their kids for some moral lessons. There are 22 fables in the book are about kings, queens, common people, animals, life, death, and magic. Some of the ones I liked reading includes – "The Farmer and the Magic Objects" in which a husband seeks to resurrect his dead wife, "The Sacred Tree of Khamur" in which a tree speaks to appeal to a king to change his verdict, "A Night for the Demon" where a queen leaves her husband every fifteen days to spend a night in the jungle, "At Heaven’s Gate" where a child asks God why he took away his father from him. There were some more stories with profound messages and were a pleasure to read, but there were a couple of them which I couldn’t appreciate much - like The Jungle laws and Langu’s Calling. One thing that didn’t work for me after reading this book was the title of the book. 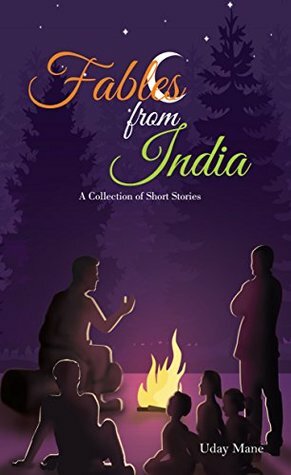 When I saw the title – Fables from India, I was really hoping for some profound stories from the land known for its story telling. But, I was a bit disappointed there. More than half of the stories didn’t seem to have any connection with India, or even ancient India as a matter of fact. Some seemed to be from Persia or Middle East, while some felt to be universal. So, I think the book could have been better named. Overall, a light read that you can read or read out to your kid as bedtime stories. "After Malgudi Days, I could never imagine that somebody could create another childhood classic for adults to regain their innocence even for a few hours. Suspi’s tales would have made R K Narayan smile. Oh! That beautiful Kannadiga gene!" 'Half Pants Full Pants' by Anand Suspi is an endearing read. It is the author’s debut novel where he recounts his real-life childhood tales from Shimoga, a then sleepy town in the state of Karnataka. This book was sent to me by paperboatdrinks (Hector Beverages) and was with me for over 2 months before I picked it up to read. Well, as the adage goes – better late than never; I am so glad to have read it. Reading it was such an amazing experience. As I turned pages after pages of this book, I often got transported to my own childhood days and to my own stories. A wave of nostalgia often hit me and I wished if I could relive my childhood again. It is perhaps our lives' biggest irony - when we are kids, all we want to be is grow up and when we do, we wish we could travel back in time and enjoy the pleasures of childhood again. 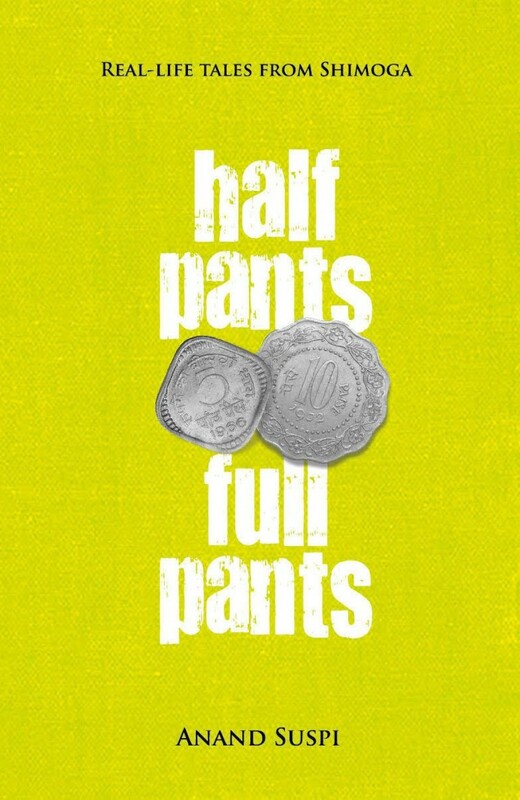 There are altogether 38 stories in the book – some from the half pant days and other from the full pant days of the author. And each one succeeds in evoking a sense of nostalgia in the readers. In some way of the other most of us – from the pre-internet and gadget-free childhood days, will be able to relate to these real-life childhood tales of the author in some ways or the other. The first story in the book revolves around a popular idea that did the rounds in my school days too – when a coin in put on railway track and a train passes over it, it turns into magnet! Back then, I didn’t have any mean to check it. The author being the son of a railway employee had the opportunity to find out the truth of the idea first hand. But, instead of a magnet what he got was a 5 paisa badly shaped chapati! The author has had a fair share of adventures in his childhood. Some of them are exclusive to him – how many of us can boast of driving a train? I guess none of us can boast of that. But, there are so many other anecdotes - on fighting mosquitoes to imagining self to be some sort of detective (most of us must have been thorough that phase after reading famous five books), to climbing trees, saving pocket money, to delving deep into philanthropy, to detesting gourds (same-pinch), and so on. 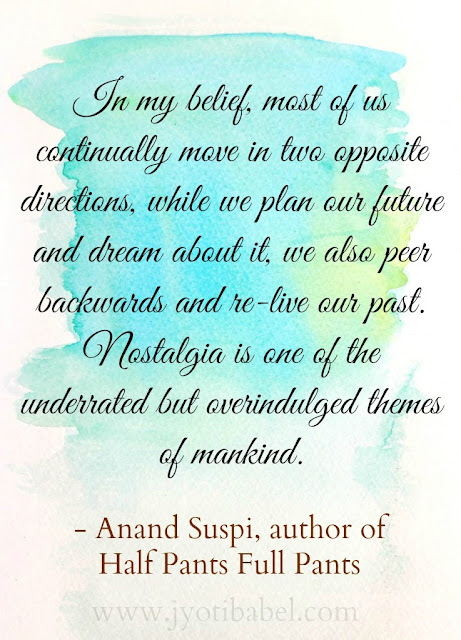 One thing that is sure this book will do to you - it will make your revisit your childhood. 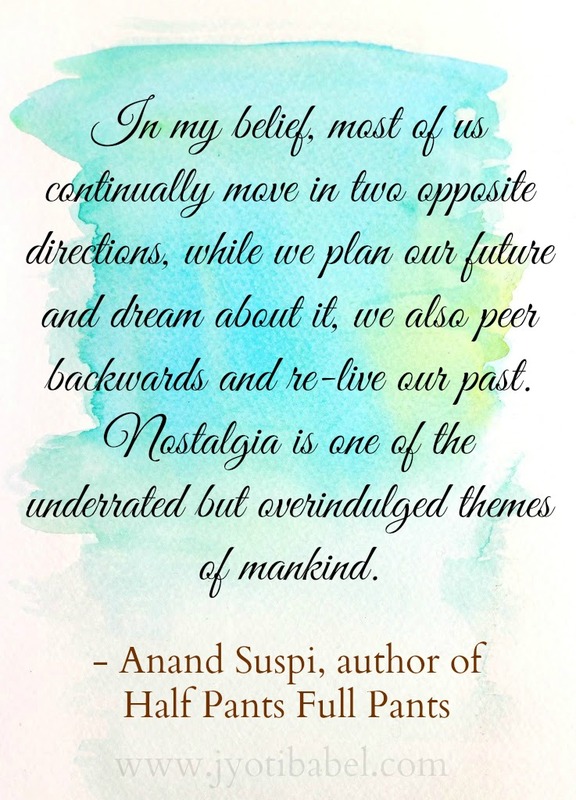 Thank you Anand Suspi for crafting a book of your childhood tales; and thank you paperboats for publishing it so that it could reach the readers. Highly recommended. You can buy it on Amazon or Flipkart. It makes for a great gift to friends and family. 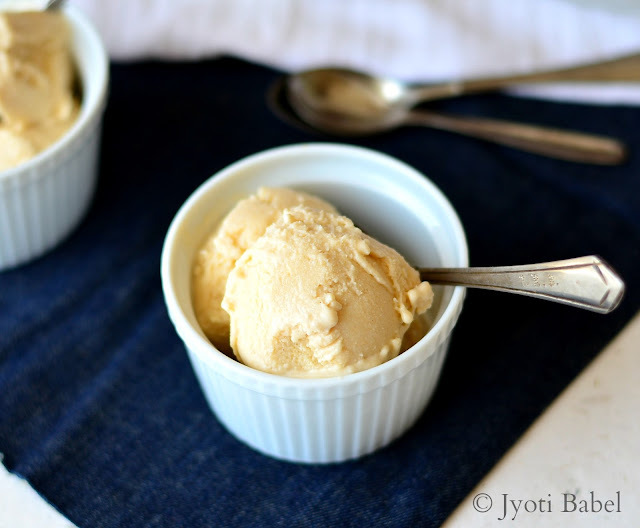 This chikoo ice cream is one of the best ways to use up some ripe chikoo fruits. Chikoo is quite a sweet fruit and is particularly great in ice creams. With condensed milk and fresh cream in it, this ice cream is literally a no-fail recipe. Don't like the flavour of chikoo - no problem just use the fruit of your choice instead of chikoo and keep the rest of the ingredients same. I have always been a fruit lover. My mom never had a chance to complain that I didn't have my share of fruits. The same cannot be said for veggies though - it was a different story altogether. Till date, I am very much a fruit person - in fact, there are very few fruits that I don't like much. A few years back, when I had the fresh fruit flavoured ice creams at Naturals, I was sold to the idea. Since then I am in love with all sorts of fresh fruit ice cream. So, here I am today with a fresh fruit ice cream - made with chikoo fruit. I had some ripe chikoo fruits and I couldn't think of another better way to use them. I went ahead and made this chikoo ice cream and I am so happy with the results. 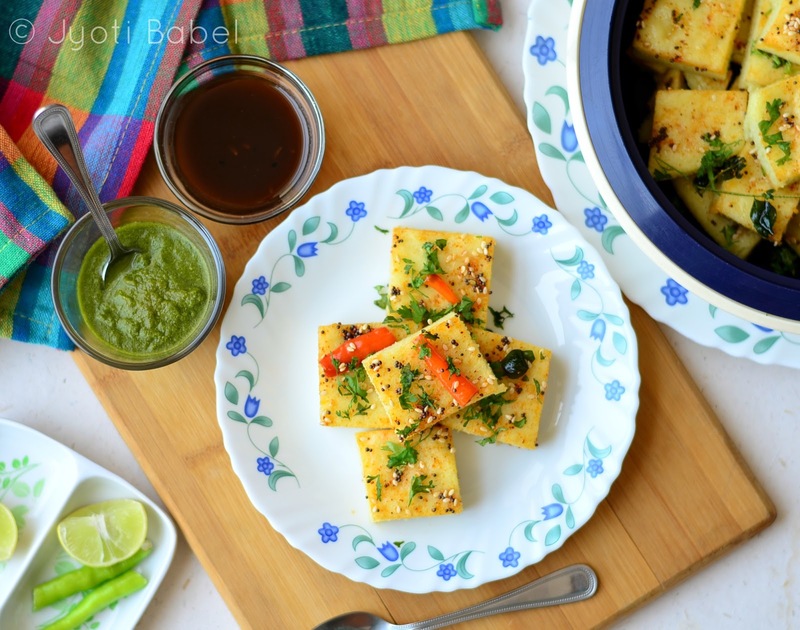 Yellow Moong Dal Dhokla is a Gujarati steamed snack. It is protein packed and is quite healthy. 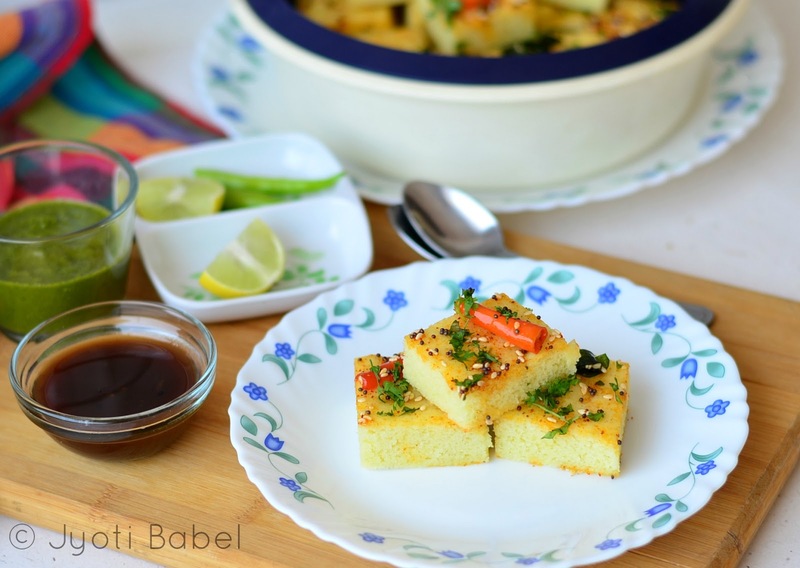 Those who do not have much idea about this Indian snack, dhokla is a sort of steamed savoury cake made with yellow moong batter. It is tempered and is then served with Indian chutneys. Summer is the season to stay away from oily and greasy food. No 'pakoras' and 'wadas' for me - at least till the rain sets in. 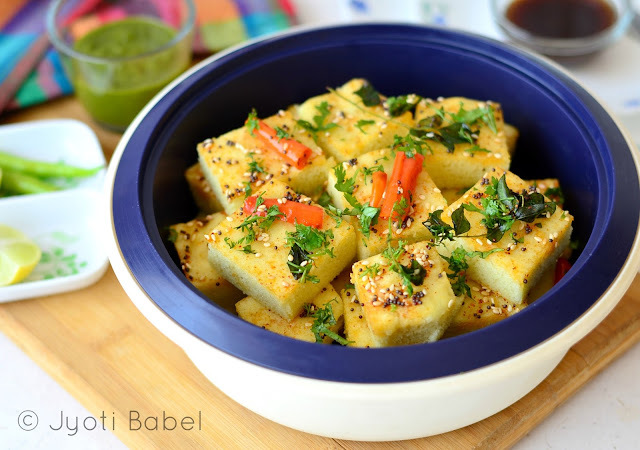 So, when I think of snacks these days - I think of all the healthy things I can indulge in and things like Khaman Dhokla, Khandvi or a bowl of hearty Chickpea Salad comes to my mind. 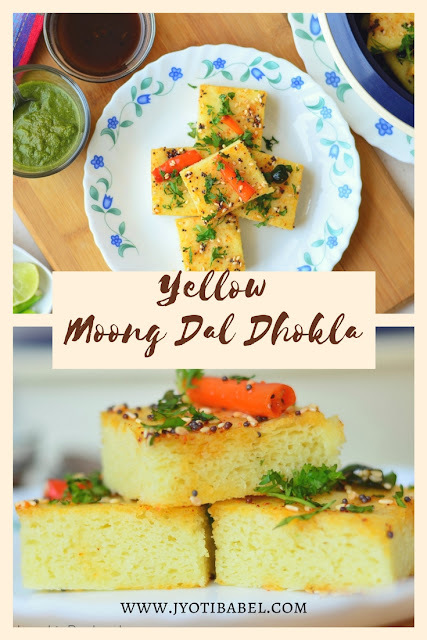 So, one fine day when I was feeling inspired I decided to try making yellow moong dal dhokla instead of this regular khaman dhokla. I pretty much made it the same way and the results were good. These Dhoklas are packed with nutrition and tastes best when eaten fresh with dollops of green chutney and tamarind chutney. If you are making in bulk, you can reheat it in microwave with some sprinkling of water and they are as good as fresh. 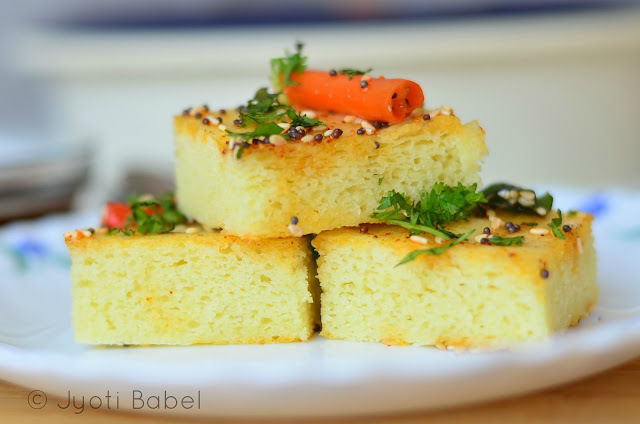 Yellow Moong Dal Dhokla. A Steamed & Healthy Gujarati Snack. 1. Drain the water from the soaked moong dal. Tip the soaked dal into a grinder jar and using about 1/4 cup water grind it to a smooth paste. 2. In a large mixing bowl, add the moong dal paste. Add rest of the ingredients except ENO. Mix it to form a batter. If it seems too thick add water little by little till you get a pouring consistency batter. 3. Add water to dhokla steamer and put it on high heat. Grease the plates on which you will pour the batter. 4. When steam starts forming in the steamer, lower the heat to medium. Add ENO to the prepared batter and stir gently. Pour the batter into the greased plates and place them inside the steamer. Cover and steam for 15-20 mins. 5. When done, take off the lid and check for done-ness. Take the plates out. Set aside to cool while you prepare the tempering. 6. Heat the oil for tempering. When hot, add the mustard seeds, sesame seeds, green chilies and curry leaves. When it splutters add the red chili powder. Take it off gas and spread the tempering over the Dhokla. 7. Garnish with chopped coriander leaves. Serve with green chutney, tamarind and dates chutney or good old tomato ketchup. 1. This recipe requires no fermentation. ENO is used for leavening, so put the batter to steam as soon as you add it. 2. Moong Dal need to be soaked over-night for best results. So, a bit of planning is needed if you want to make these. 3. I have used a dhokla steamer to make these. If you do not have it, then use a large kadhai or saucepan with lid to steam. You can use a can tin that fits into the saucepan to steam the batter in. 4. I used 2 around 6" inch plates for this quantity of batter. If you are adding all of it in one smaller plate/tin, you will have to steam it 10-15 mins more. Herbal Iced Tea is a thrist-quenching summer drink. 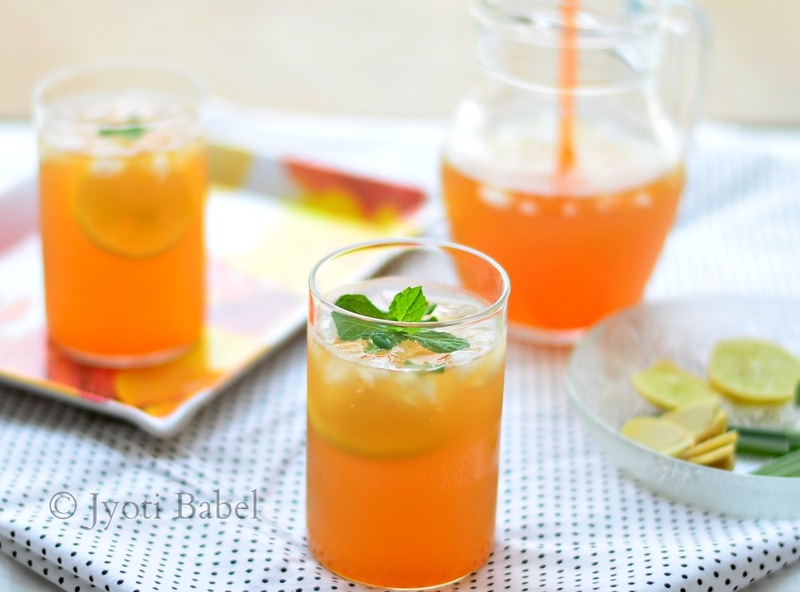 With lemongrass, ginger and mint, this herbal iced tea is full of flavours. I have used sugar to sweeten it, but you can use honey or any other sugar free sweetness as well. I have never been an iced tea person. I do order it some times at food joints, but it has never been one of my go-to cool drinks. But, after trying this recipe I am a convert. 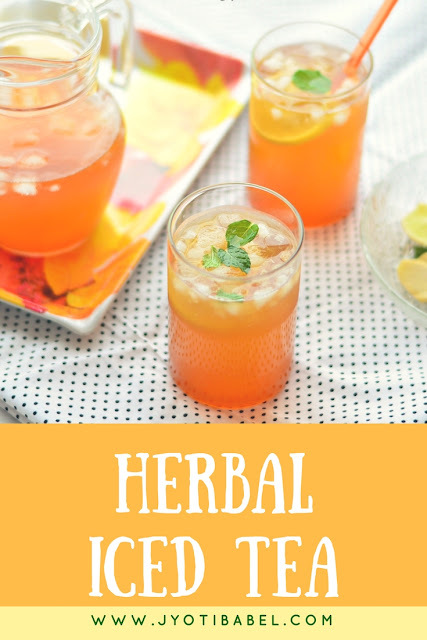 I wouldn't mind saying that this herbal iced tea has become one of my latest favorite chilled drinks to beat the heat this summer. 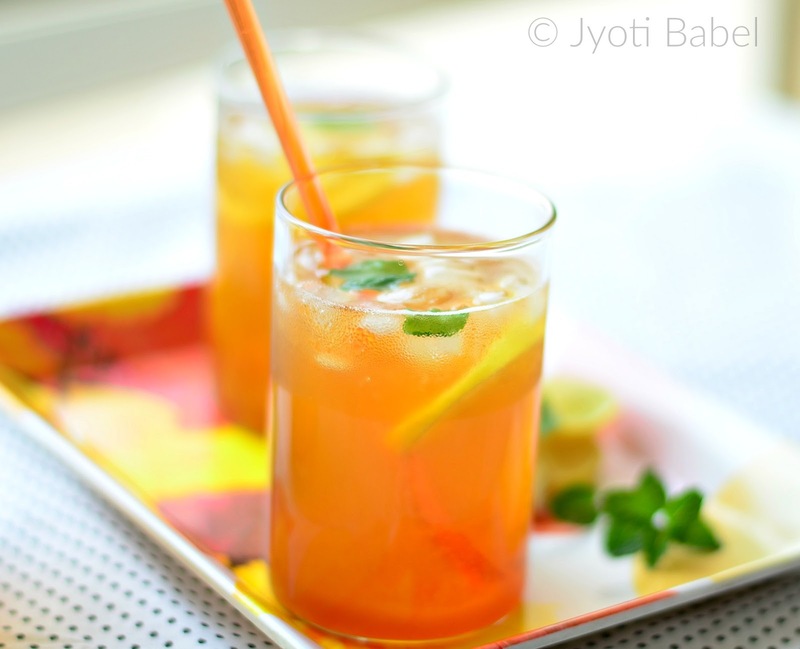 Long ago, I had tried a fruit punch recipe that used tea decoction and it turned to be a super flop. Since, then I was wary of trying any drink recipe with tea decoction in it. But, when I chanced upon a herbal iced tea recipe in one of the cookbooks I own ( did I tell you I am a hoarder of cookbooks?) I decided to give it a try. The recipe involved making a herbal decoction first - a combination of lemongrass, ginger and mint. The recipe did interest me; but I had an even better reason to try it. Sometimes back I had planted lemongrass and mint in my terrace garden and I was delighted at the idea of using my garden produce. The best thing about this recipe is that you can prepare the herbal decoction in bulk and freeze them in ice trays and use them when needed. You can play around with the ratio of the herbs, depending on which herb flavor you want to be prominent. 1/2 cup ginger, washed, peeled and grated. 1. Add all the listed ingredients in a saucepan and add 500 ml water. Bring it to a boil and then simmer it on medium heat for 15 to 20 mins. 2. Turn off the heat and cover the saucepan. Let it cool completely before straining. Strain and set aside the herb extract. 3. You can add another cup of water to the residue and simmer it for 15 mins. The decoction prepared the second time will be milder in flavor. You can combine both the extracts thus prepared or you can store them separately. If you do not need to use the entire decoction in one go, freeze them in iced cube tray. When frozen fill them in a zip-lock bag. 1. Add the tea bags in boiling water and let it steep for 10 mins. Take the tea bags out and set aside the tea decoction. 2. If you are using herbal ice cubes, add them to the warm tea decoction so that they melt faster. Else add the herbal concoction equally into two glasses. Pour prepared tea decoction. Add simple sugar syrup and top with chilled water. 3. Add ice cubes, mint leaves and lemon slices as desired. Stir and serve chilled. 1. Add a squirt of lemon juice for Herbal Lemon Iced Tea. 2. You can add the herbal ice cubes to your regular lemonades for added flavor. 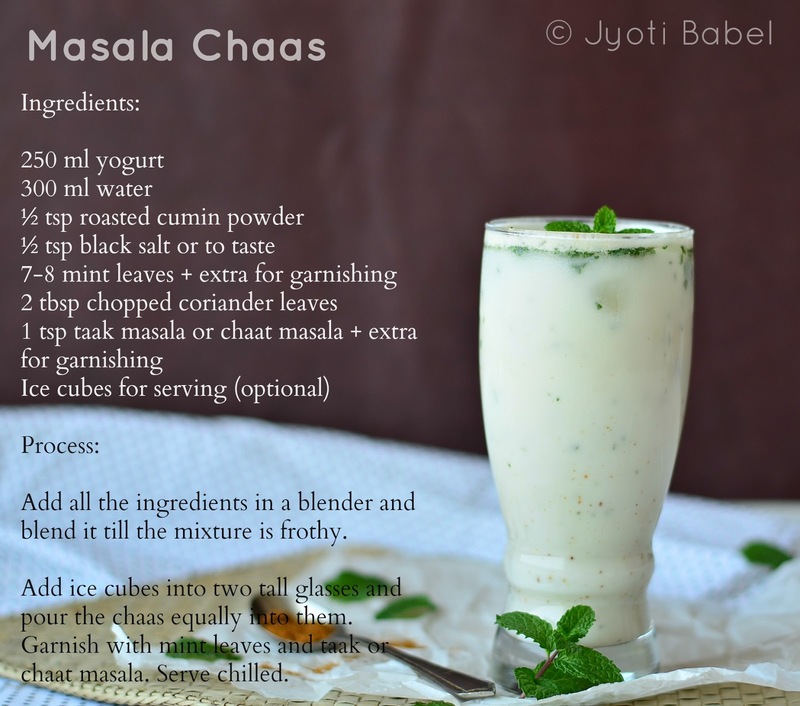 Masala Chaas is a yogurt based drink. 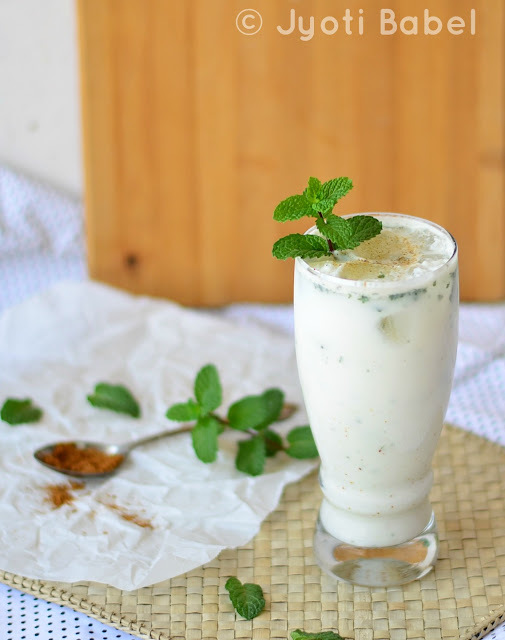 It is yummy and it is very good for health in summer months. It helps to cool the body, aids in digestion and keeps you hydrated. 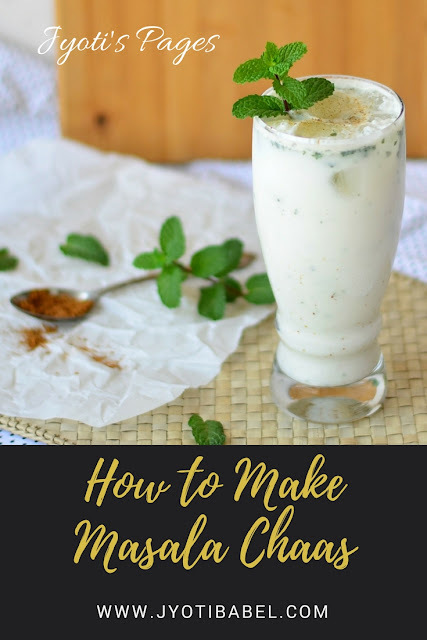 The best thing about it is that it is so simple to make it – just get all the ingredients and blend it and it is ready to be gulped down. This time of the year is the time to indulge in some cool drinks and I am doing just that. 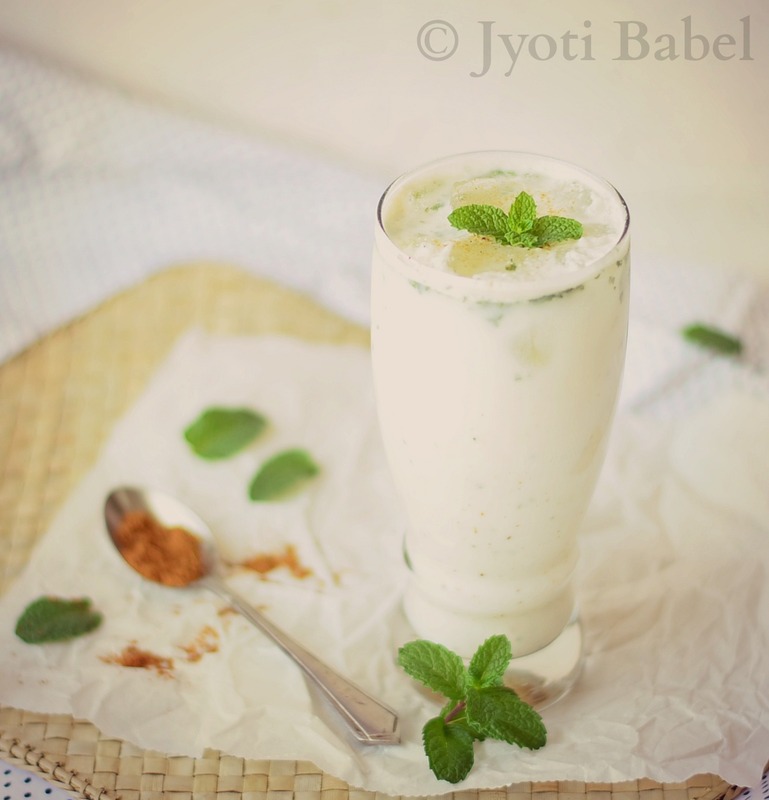 Past few days, I am guzzling down large glassfuls of ‘Masala Chaas’ or ‘Masala Taak’ as it is called in Maharashtra. The last week of March 2017 has seen mercury rising steeply here in Pune. The heat is relentless; one look outside the window in the afternoon will make your eyes squint and make your head dizzy. Forget about stepping out in the sun – else the menacing rays of sun with scorch your body. Such is the heat that I keep all the curtains drawn in all the rooms; the fans are doing overtime running at full speed all the time. When things look unmanageable, the air conditioner also steps in. Apart from keeping the house cool, it is also important to keep our bodies cool and hydrated. Drinking lots of water and fluids is very important and they are the only things that are keeping me sane in this hot weather. 1. Add all the ingredients in a blender and blend it till the mixture is frothy. 2. 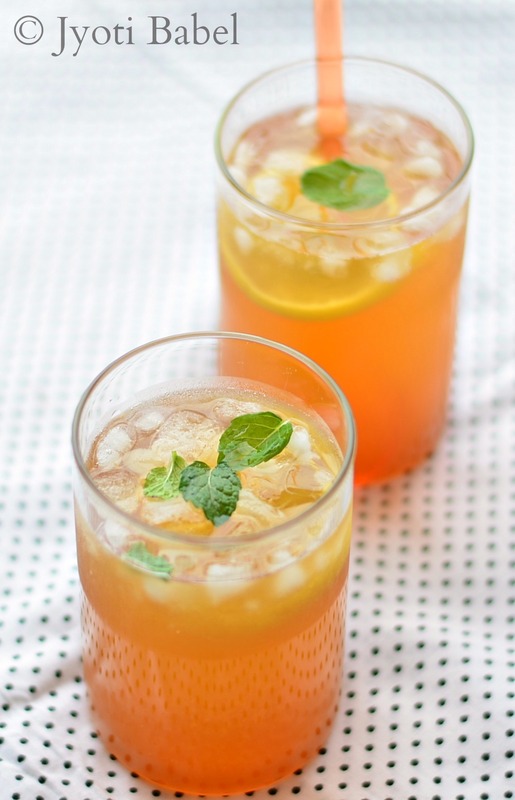 Add ice cubes into two tall glasses and pour the Chaas equally into them. Garnish with mint leaves and taak or chaat masala. Serve Chilled. 1. This yogurt based drink is common all across India. However, some regions have their own simple variations. Some common variations are adding a green chili for some spice or ginger, asafoetida (hing), curry leaves and black pepper. All of these helps in digestion. 2. I have used store bought taak masala. But it can be easily substituted with chaat masala. What cool drinks you are indulging in to beat the heat? Do share.